On a recent day at the Obrenovac refugee centre, Zalmai* was queuing up to use one of the computers provided by SOS Children’s Villages. The young man goes online routinely to talk with his parents in Afghanistan and to read the news from home. Also important for Zalmai, along with many of the other visitors to the SOS Children’s Villages Information Communication Technology (ICT) corner, are the lessons in computer skills that are available. “I like learning the basics of computers because I knew nothing about them before,” says Zalmai, 18, one of the estimated 1,000 men who live at the refugee center located on the south-west edge of Belgrade. 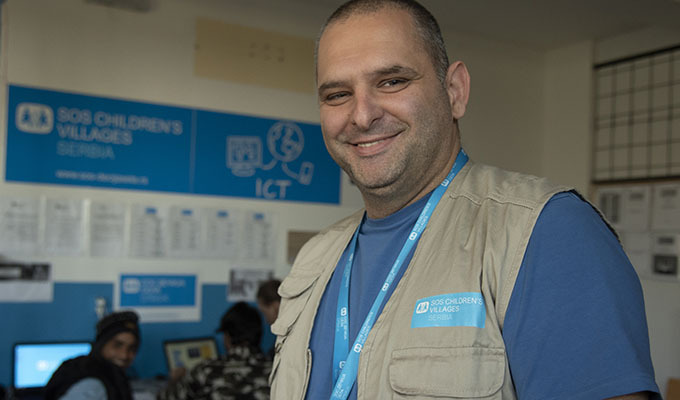 SOS Children’s Villages Serbia operates ICT corners at three other refugee centers in the north of the country - Adaševci, Kikinda, and Principovac. As Zalmai’s experience shows, these corners offer a way to stay in touch with loved ones and learn a skill. SOS Children’s Villages Serbia has provided care and support for refugee children, young people and families since August 2015. Besides ICT corners, the organization provides child-friendly spaces, youth corners, quiet spaces for mothers to nurse babies, and mental health care for refugees and migrants in the country. 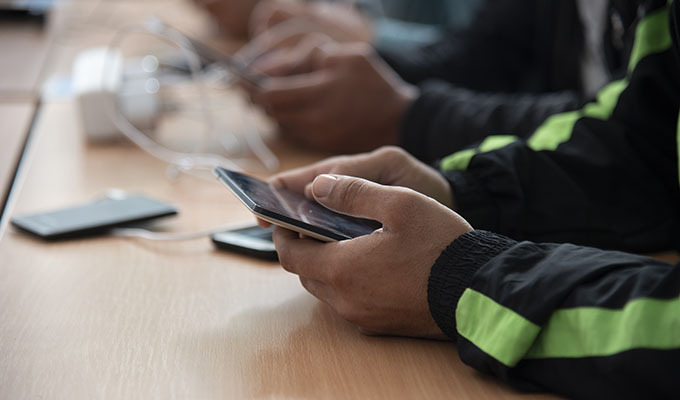 ICT corners offer the chance for refugees to stay in touch with family and other loved ones. “We can see that this means a lot to these young people,” explains Toljen Petrovic [right], who works at the ICT Corner at Obrenovac. Computer and technology classes are offered to refugee centre residents and they receive a certificate for completing workshops to help improve their job prospects. “It is important for them to learn something that they can use in the future,” explains Uroš Jeutic [left], who works at the ICT Corner at Obrenovac. The SOS Children’s Villages youth centre and ICT corner share space at Obrenovac. Young people can attend skills-development classes as well as learn languages. The SOS Children’s Villages youth centre and ICT corner share spaŽeljka Zeljkovic from SOS Children’s Villages Serbia helps girls with their mathematics lessons one afternoon at the Principovac refugee centre’s combined ICT and youth corner that has been used by more than 340 children and parents in the past six months. “Education is so important. The children are so happy when they are in school and when they come here from school,” Ms Zeljkovic says.e at Obrenovac. 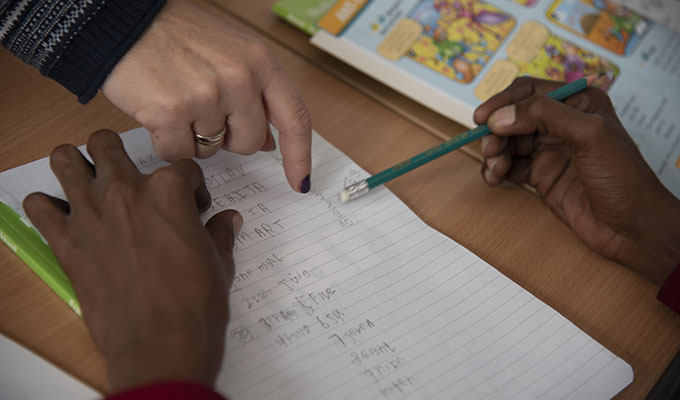 Young people can attend skills-development classes as well as learn languages. Bojan Savic says after-school homework support and language lessons offered at the Principovac ICT and youth corner help children do better in Serbian schools and encourage them to be a part of the community. “I don’t want to think about what will happen to these young people if SOS Children’s Villages is no longer here,” he says. SOS Children’s Villages Serbia has helped nearly 125,000 children, young people and parents since the start of its refugee emergency response in August 2015. SOS Children’s Villages Serbia works with international and local partners, as well as the government, to ensure comprehensive support to children and their families.